Bake at 150°C for 30 minutes. I am baking Sophia a cake. I put two eggs on to boil. 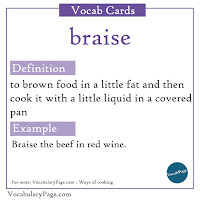 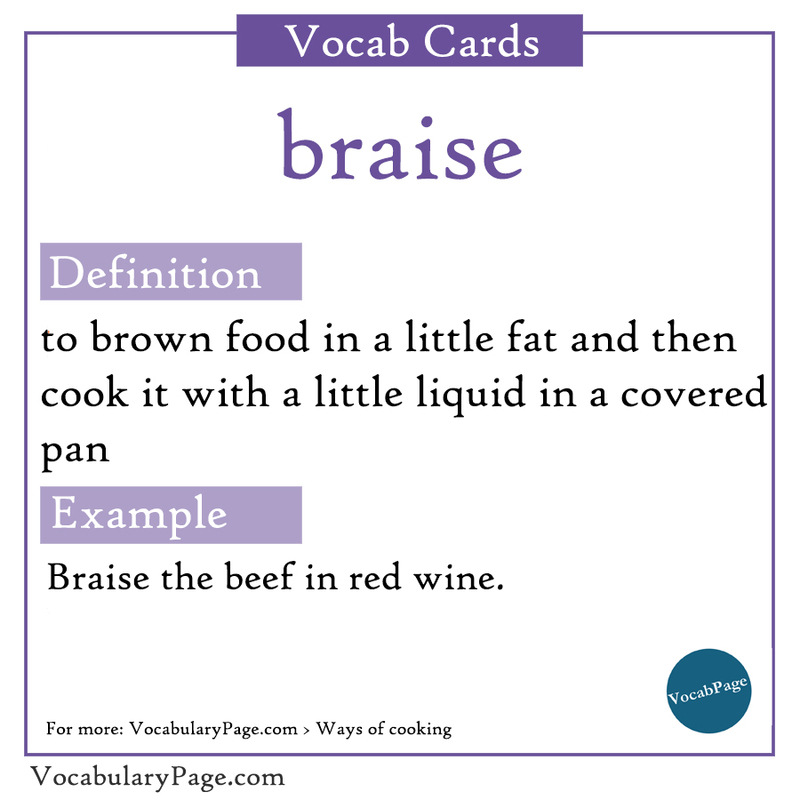 Braise the beef in red wine. 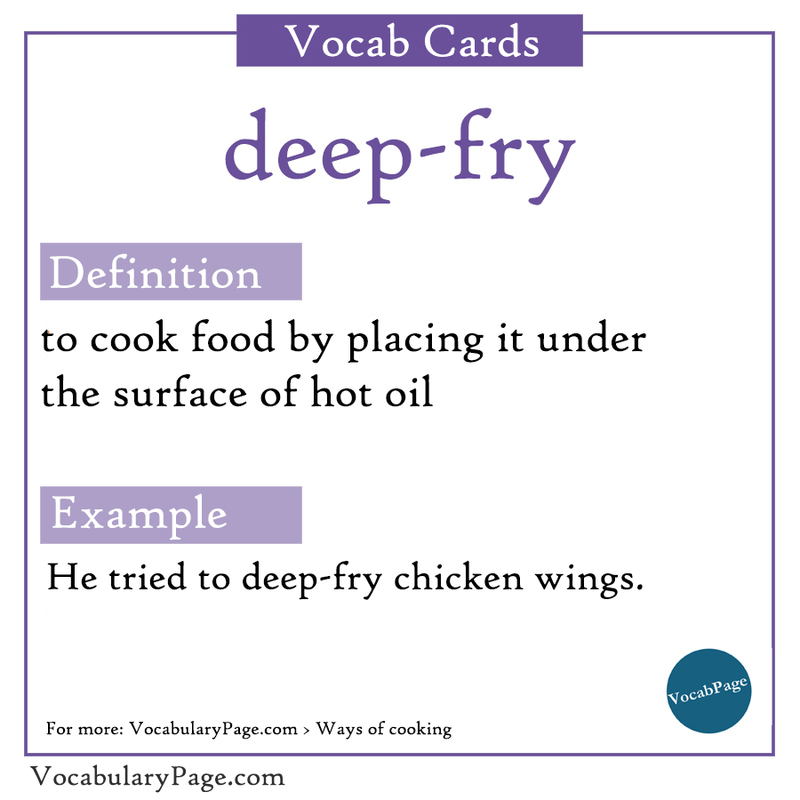 He tried to deep-fry chicken wings. He fried fish for me. Grill the tomatoes for 5-10 minutes. 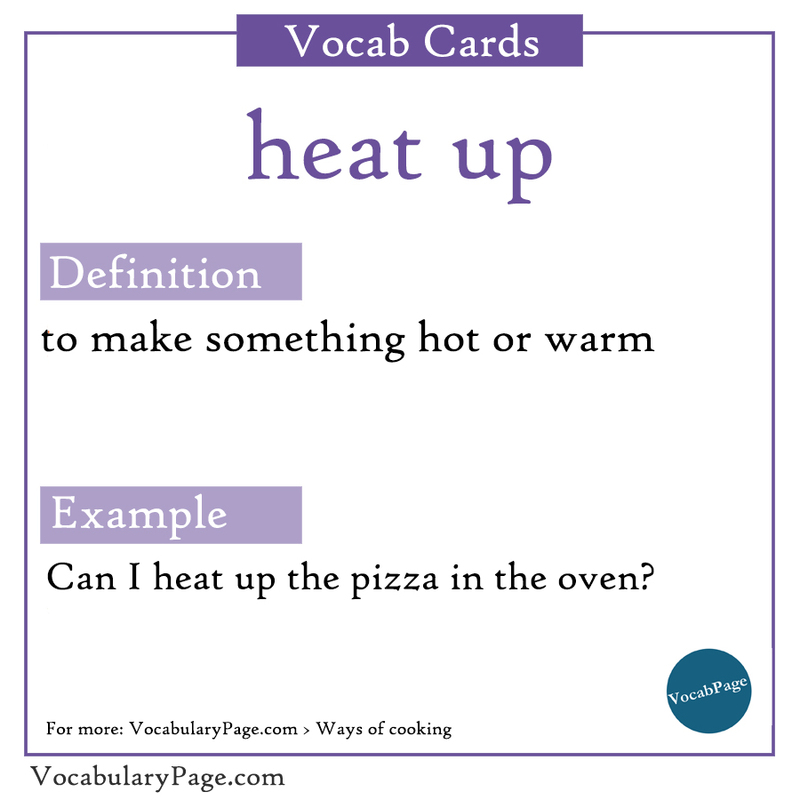 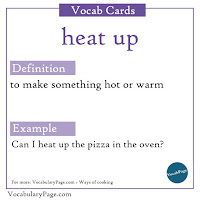 Can I heat up the pizza in the oven? 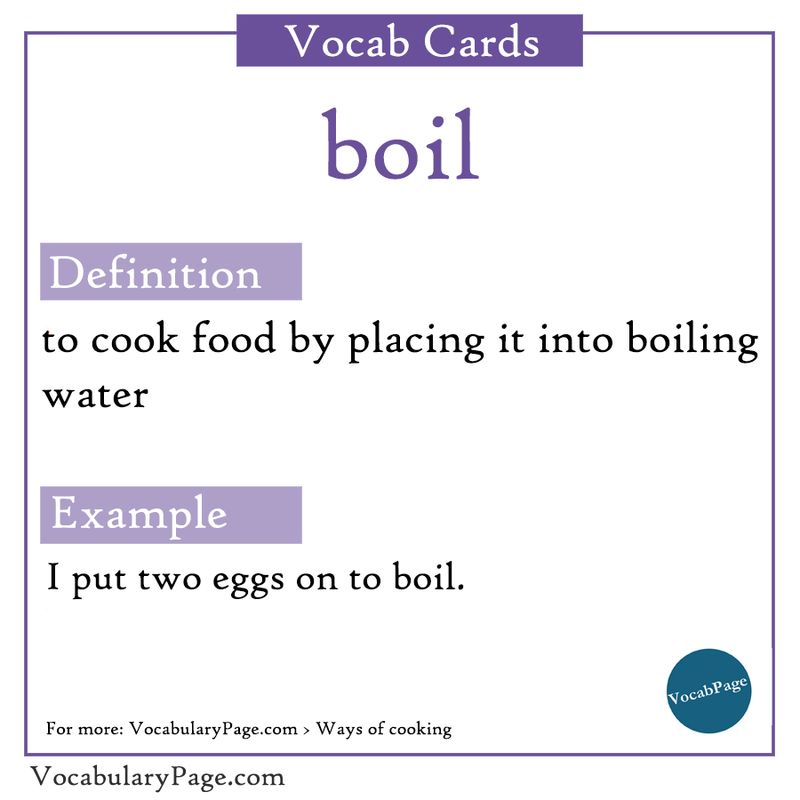 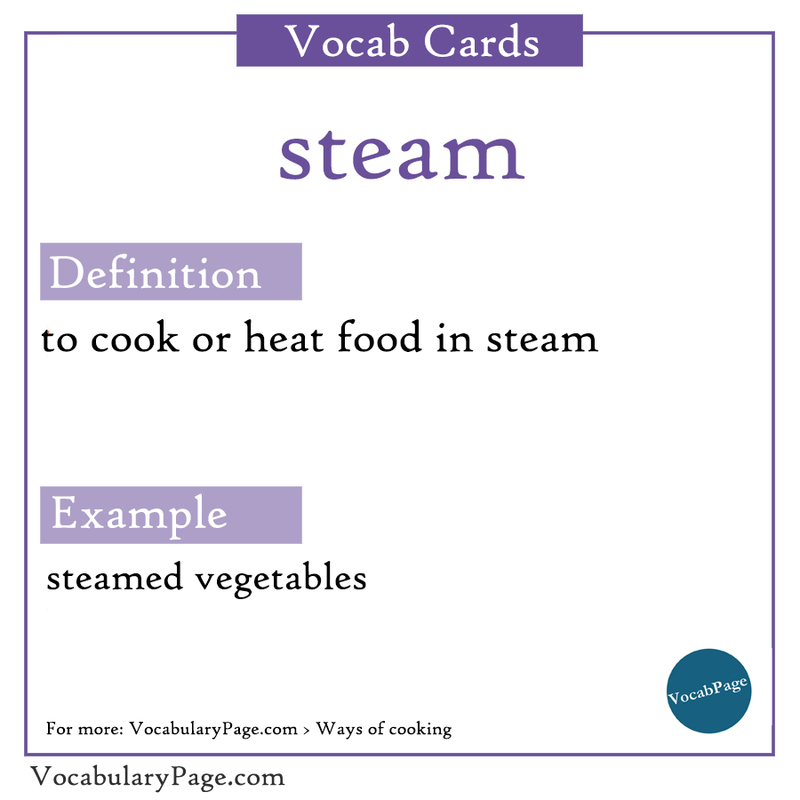 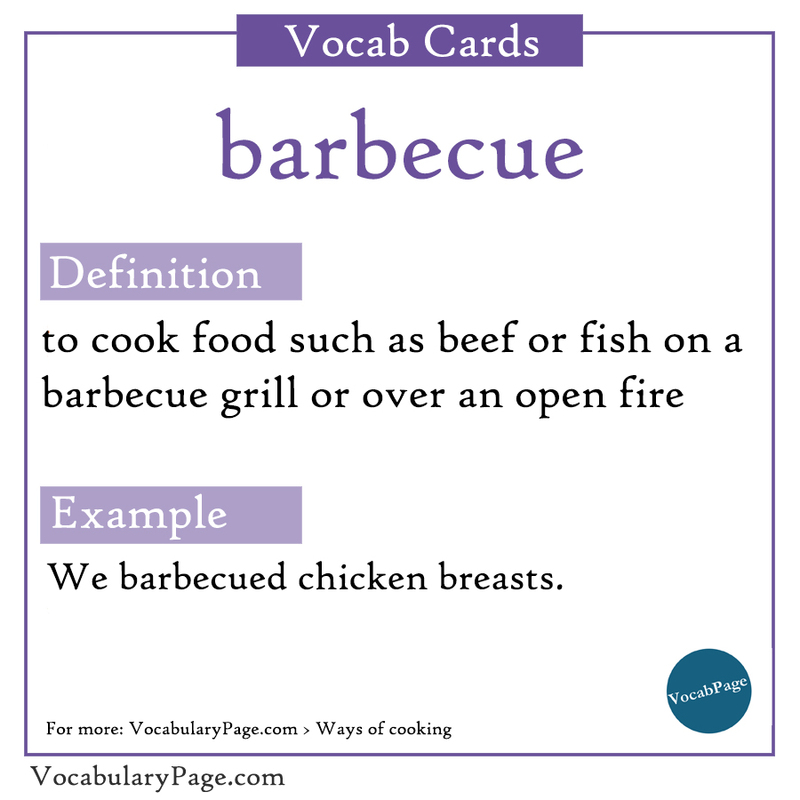 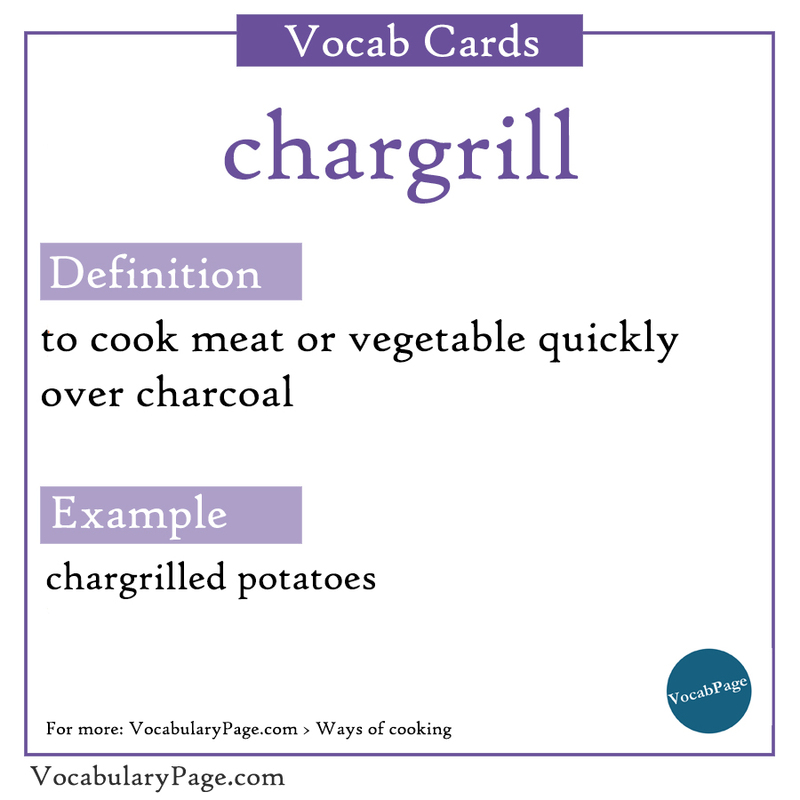 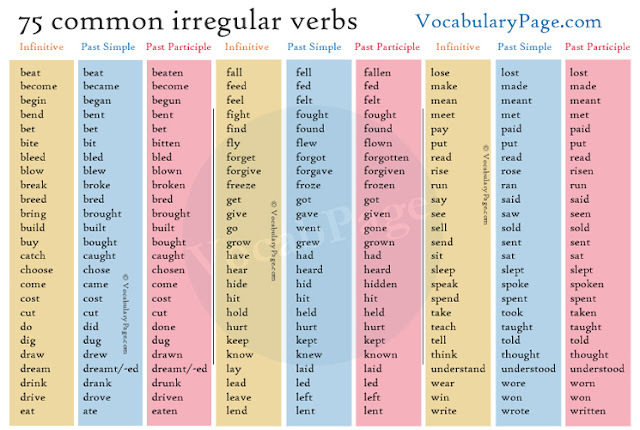 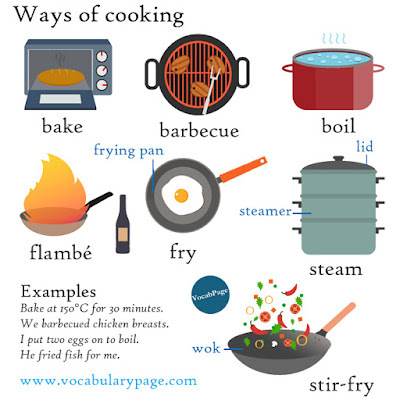 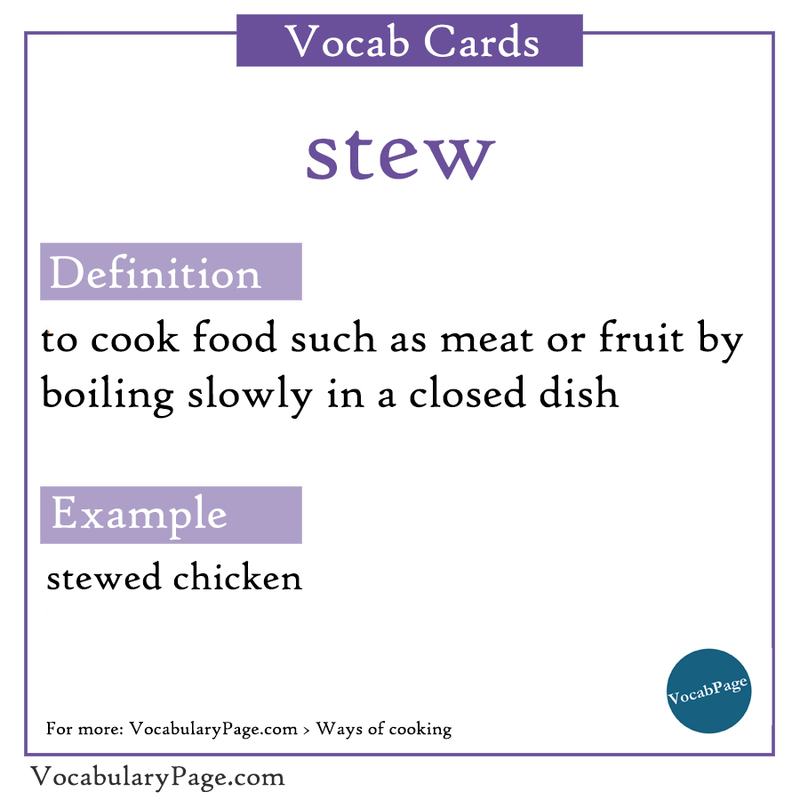 to boil food for a short time before it is grilled, roasted etc. 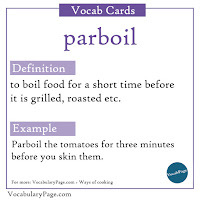 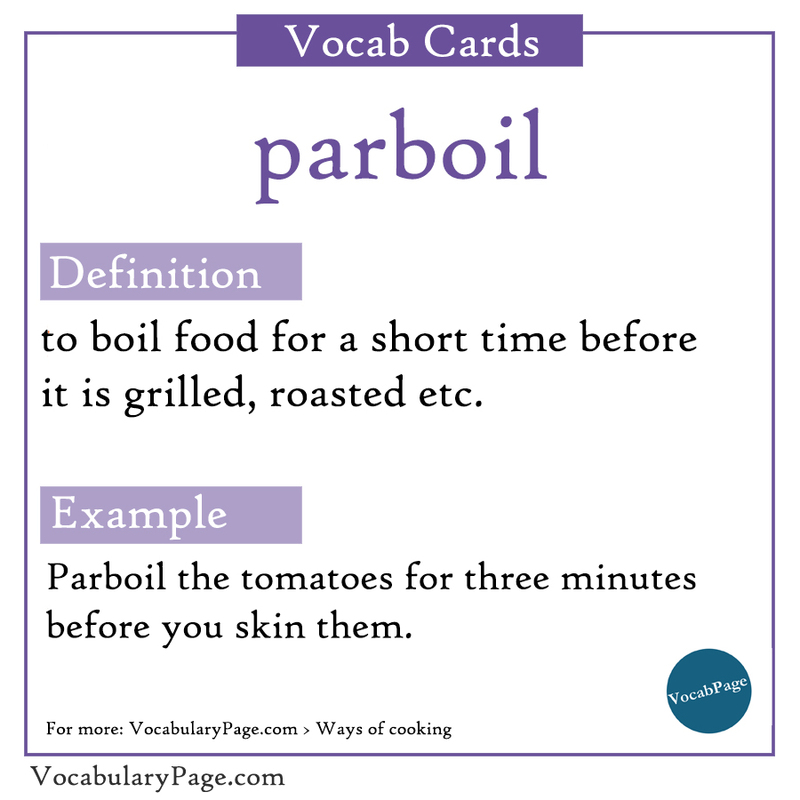 Parboil the tomatoes for three minutes before you skin them. 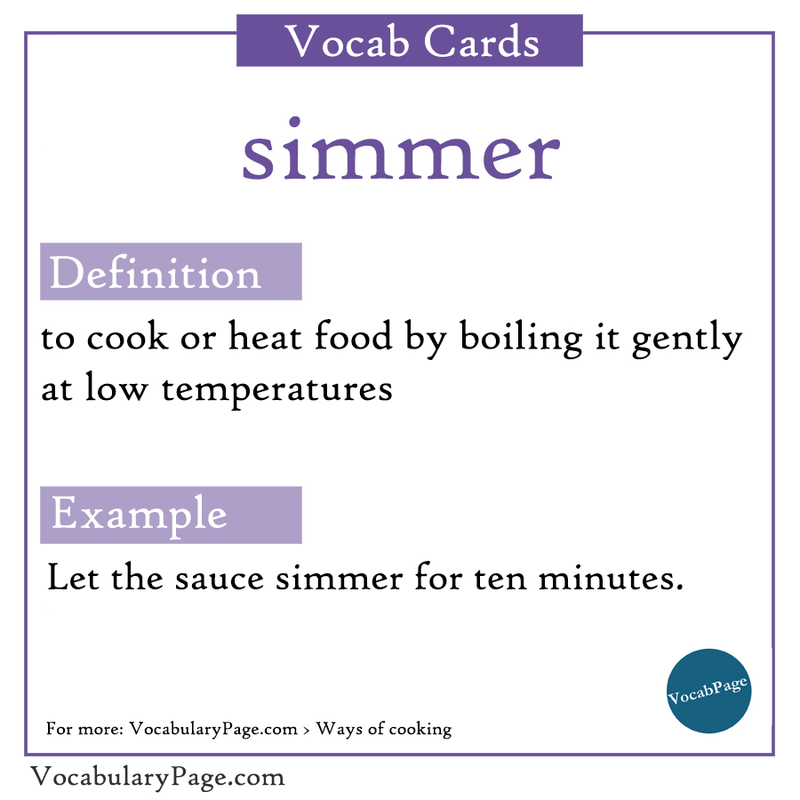 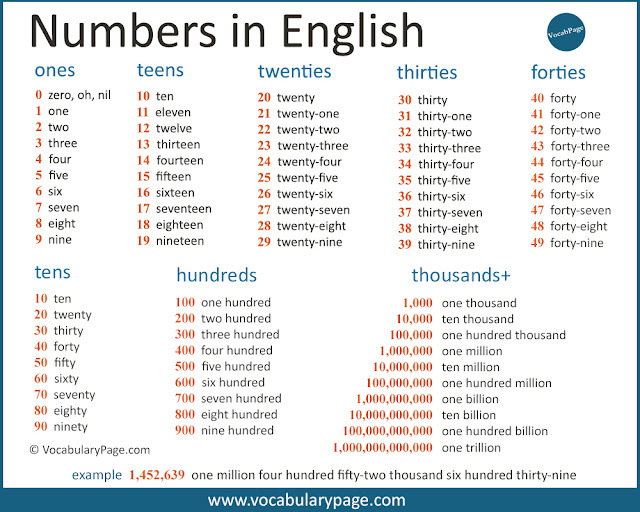 to cook something gently in a small amount of boiling liquid such as water, milk, wine, etc. 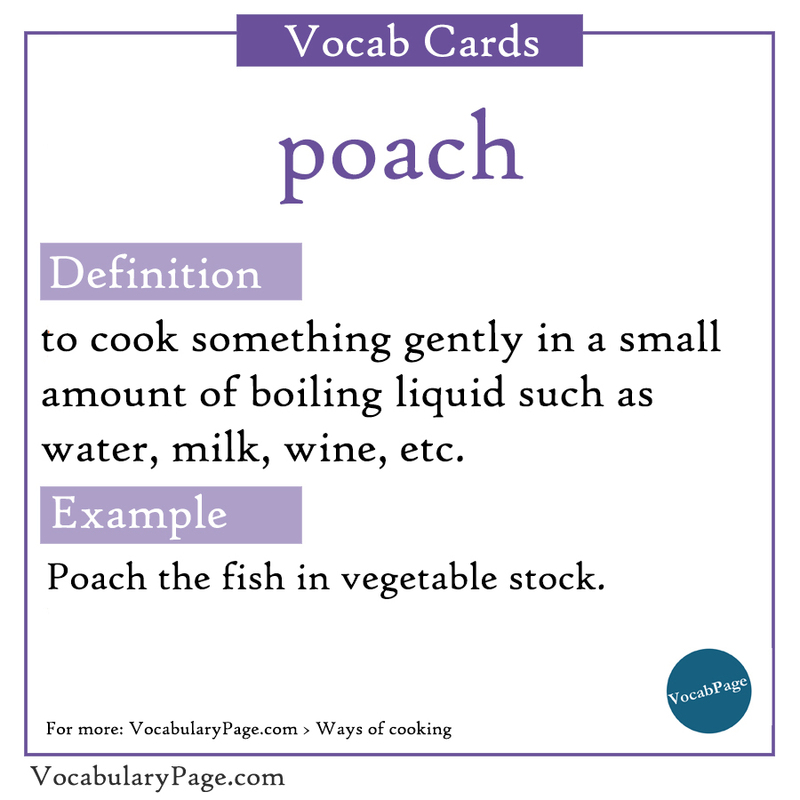 Poach the fish in vegetable stock. 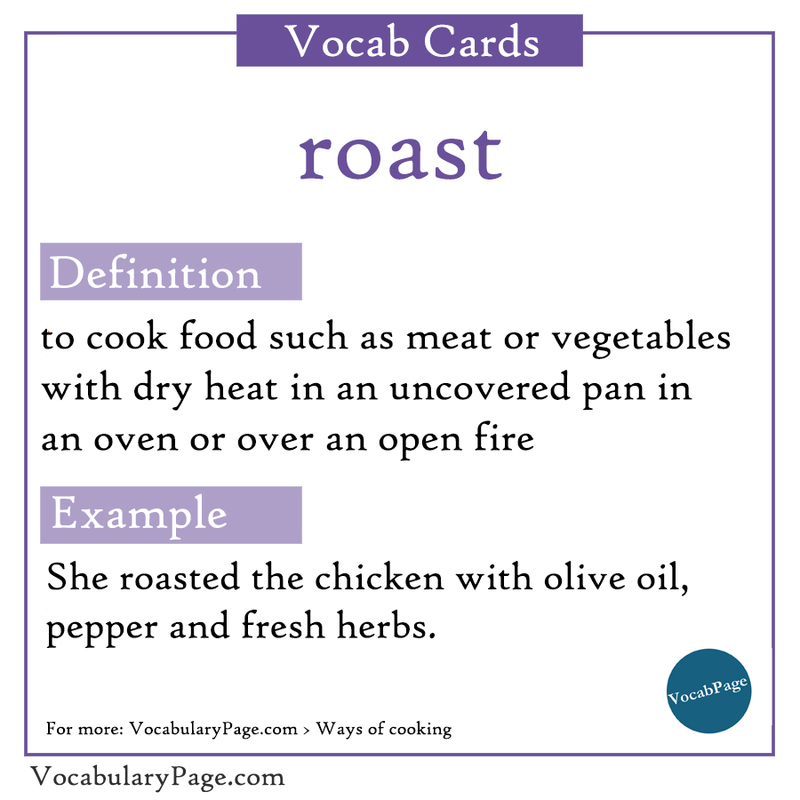 She roasted the chicken with olive oil, pepper and fresh herbs. 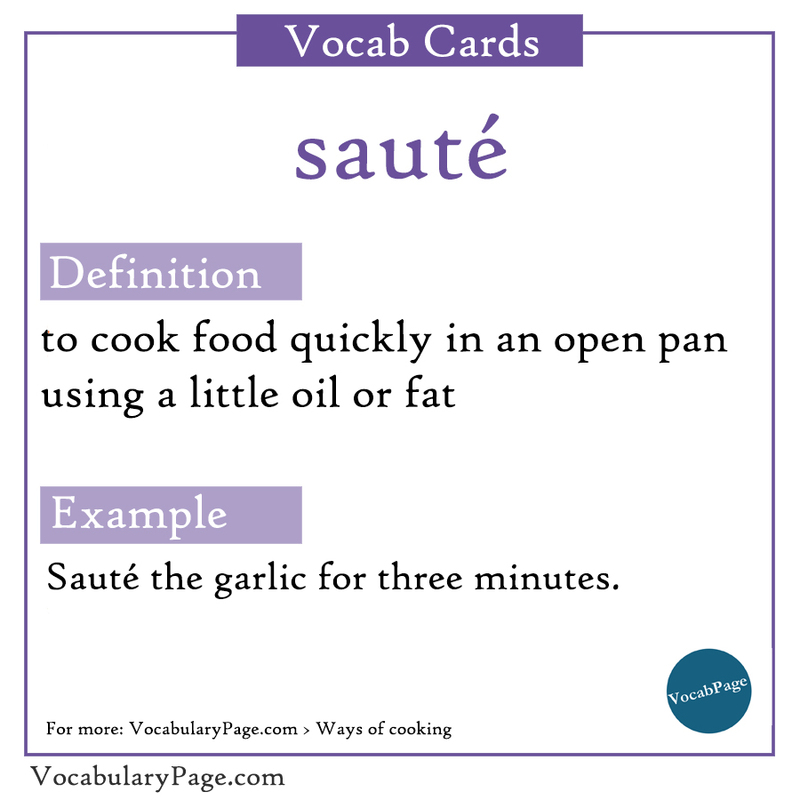 Sauté the garlic for three minutes. 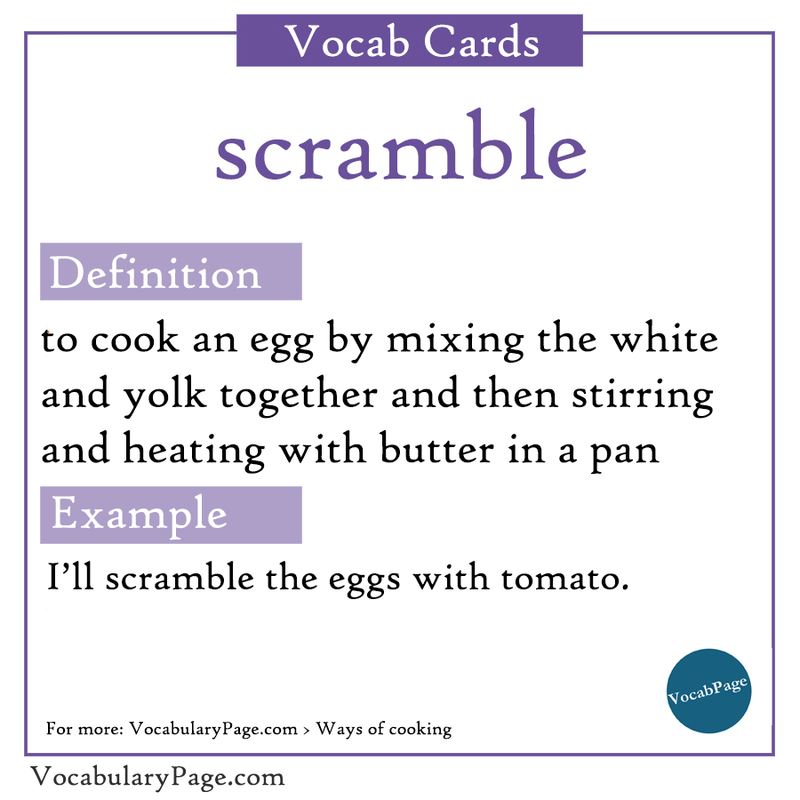 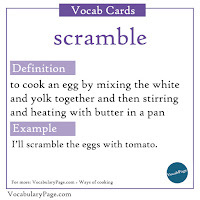 I’ll scramble the eggs with tomato. Let the sauce simmer for ten minutes. 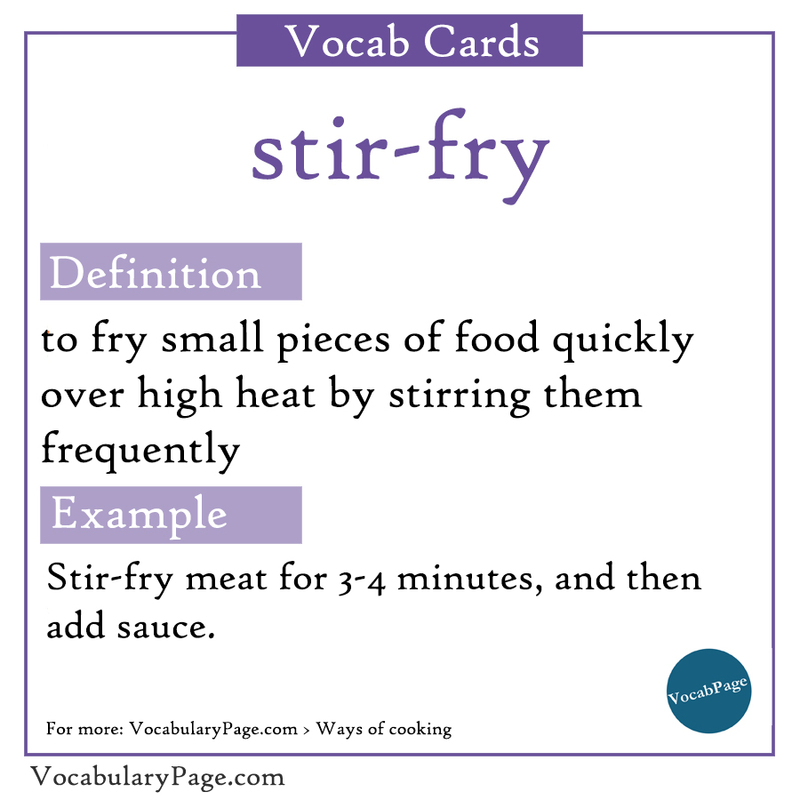 Stir-fry meat for 3-4 minutes, and then add sauce. I want my bread toasted.